This is a partial preview. Full document is 98 pages. View large preview. This booklet has been put together to support you in structuring and communicating your thoughts on business problems. 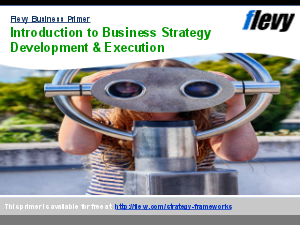 It contains 50 widely accepted strategy tools (including major framework, methodology, approach, technique, and tools)that can be applied in analyzing many business situations. Each tool includes a description, application, process, example output, and tricks and tips for using the tool. This booklet is intended to be your back-pocket guide to do strategy work for your company or client. Strategy Frameworks? Bain Frameworks? Total Quality Management? Or something else.